The collegium on Wednesday deferred a decision on reiterating Justice KM Joseph's nomination and appears to have clubbed his case with additional nominations from the Calcutta, Rajasthan, and Telangana & Andhra Pradesh high courts "in view of the concept of fair representation". The Narendra Modi government’s argument in withholding the elevation Justice K.M. Joseph – currently chief justice of the Uttarakhand high court – to the Supreme Court was that he was ‘junior’ to 41 high court judges, that Kerala was already represented in the apex court and that fair representation required nominees from other states instead. However, data accessed by The Wire reveals that law minister Ravi Shankar Prasad was grossly unjustified in raising the objections he did in his letter to Chief Justice of India Dipak Misra while returning Justice Joseph’s name since there have been many instances in the past both of states being given a higher representation of judges and of judges of lower or comparable seniority level to Justice Joseph in seniority making it to the apex court. While refusing to accept Justice Joseph’s nomination despite the recommendation of the Collegium, Prasad had written: “At this stage, elevation of one more judge from Kerala HC does not appear to be justified as it does not address the legitimate claims of chief justices and judges of many other HCs and forestalls the claim of other senior chief justices and judges.” He had also noted that there was no SC/ST judge in the Supreme Court at present and therefore the Centre would probably want to appoint one instead of Justice Joseph. The Centre had also conveyed to the CJI that it was okay with the idea of notifying the appointment of lawyer Indu Malhotra as a Supreme Court judge – who finally took oath last week, making her the first woman advocate to directly become an apex court judge. As chief justice of the Uttarakhand high court, Justice K.M. Joseph had struck down the imposition of president’s rule in the state in 2016. Incidentally, Justice Kurian Joseph, the lone judge from Kerala in the apex court right now, is due to retire on November 29, 2018 and so the Centre’s resistance to the appointment of Justice K.M. Joseph on grounds of “fair representation” of regions appears all the more unfounded. The chart below – prepared, presumably, as input for discussion on the validity of the Centre’s decision to block Justice K.M. Joseph – clearly shows that the argument furnished by Prasad that his elevation would take the number of judges from Kerala in Supreme Court to two was weak to say the least. There have been nine instances in the past when two or more judges in Supreme Court have been from Kerala. On Eight of these occasions, there were two judges from the state in the Supreme Court. These judges have been Justice C.A. Vaidyialingam and Justice K.K. Mathew, Justice K.K. Mathew and Justice V.R. Krishna Iyer, Justice V. Balakrishna Eradi and Justice V. Khalid, Justice T.K. Thommen and Justice M. Fathima Beevi, justice K.S. Paripoornan and Justice K.T. Thomas, Justice K.T. Thomas and Justice K.G. Balakrishnan, and Justice K.G. Balakrishnan and Justice P.K. Balasubramanyan, Justice KSP Radhakrishnan and Justice Kurian Joseph. There was also an instance, when three judges from Kerala – Justice K.G. Balakrishnan, Justice Cyriac Joseph and Justice K.S.P. 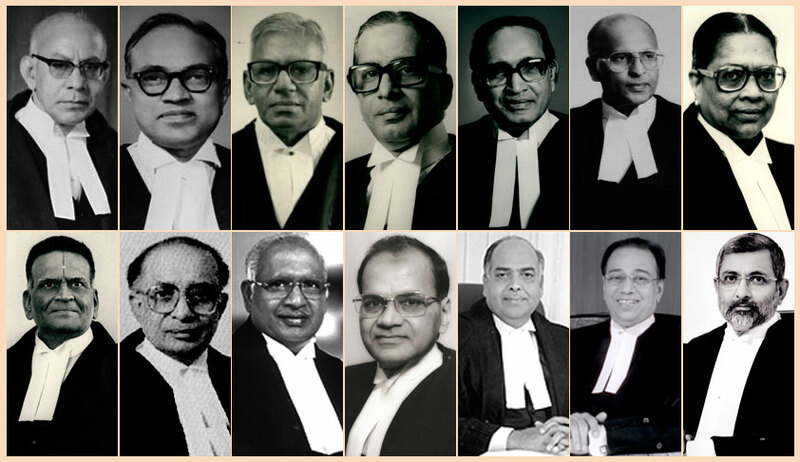 Radhakrishnan – had served in the apex court at the same time. The data punches another hole in Prasad’s argument because high courts with lower judge strength than Kerala have in the past sent more judges to the Supreme Court. One such example was of Delhi High Court, which despite having a judge strength of 36 as against 38 of Kerala, at one point in time had three judges in the Supreme Court in Justicce Y.K. Sabharwal, Justice Dalveer Bhandari and Justice D.K. Jain. Likewise, the Gauhati high court with a judge strength of just 24 had two judges in the Supreme Court in Justice Ranjan Gogoi and Justice Amitava Roy. In fact, apart from the two instances of Kerala and Delhi cited above, there have been two more in which three judges from a state have made it to the Supreme Court at the same time. One of these was when Justice S.N. Variava, Justice B.N. Srikrishna and Justice S.H. Kapadia from the Bombay high court were together in the Supreme Court and the other was when Justice Ruma Pal, Justice Tarun Chatterjee and Justice Altamas Kabir from the Calcutta high court served in the apex court, all at the same time. So clearly there is no rule or precedent which prohibits a second judge from a state as big as Kerala from finding a place in the Supreme Court. It had also been argued earlier that the Centre’s regional representation logic is not on a firm footing because at present too the representation of judges in the Supreme Court is not proportional. While out of the 25 apex court judges, three each are from Delhi high court and Bombay high court; two each are from the Allahabad, Madhya Pradesh, Karnataka and Andhra Pradesh high courts; and one each from the high courts of Kerala, Odisha, Gauhati, Punjab & Haryana, Madras, Patna and Himachal Pradesh. On the other hand, as many as 10 high courts have no representation in the Supreme Court. These include Calcutta, Chhattisgarh, Gujarat, Rajasthan, Jharkhand, J&K, Uttarakhand, Sikkim, Manipur and Meghalaya. Wednesday’s press release by the Supreme Court suggests the collegium is looking to add more nominees along with Justice K.M. Joseph’s name, i.e. judges from the Calcutta, Rajasthan and Andhra Pradesh & Telangana high courts. The “seniority” argument presented by the Centre to stonewall Justice K.M. Joseph’s elevation – he is at 42 in the all-India seniority list of high court judges – also does not hold water because when Justice Ruma Pal of the Calcutta high court was made a Supreme Court judge she was at number 70 on the seniority list. And there have been four other instances when judges who were lower than 30 in the seniority list made it to the Supreme Court. This included Justice B.N. Srikrishna (seniority level 33) and Justice S.H. Kapadia (38) of the Bombay high court; Justice Amitava Roy (35) of Calcutta high court, and Justice P.K. Balasubramanayan (seniority 38) of the Kerala high court. Clearly, the variance in seniority has in the past never had a role to play in a high court judge’s elevation to the Supreme Court. The Wire had earlier reported how the Centre’s argument to fill the post with a SC/ST judge was also weak since there were at least four more vacant posts in the Supreme Court. Moreover, with six more judges due to retire during this year, the Modi government would have anyway got several opportunities to press for filling up of some of these slots with judges from these historically under-represented categories. Terming the denial of promotion to Justice Joseph as “unfortunate,” several former chief justices and other senior judges had urged Chief Justice Misra to urgently convene a collegium meeting to address the issue. Many of them had clearly blamed the Centre for stalling the judge’s appointment to the Supreme Court because he had overturned president’s rule in Uttarakhand, much to the annoyance of the Central government. They had insisted that the “settled convention is that the government cannot segregate the names” of nominees recommended by the collegium.